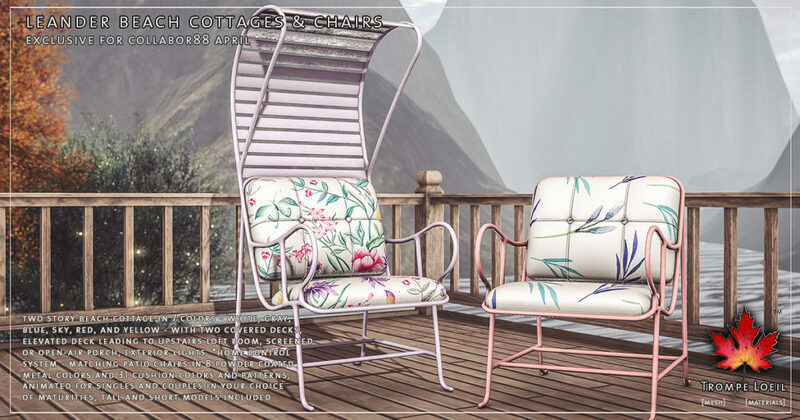 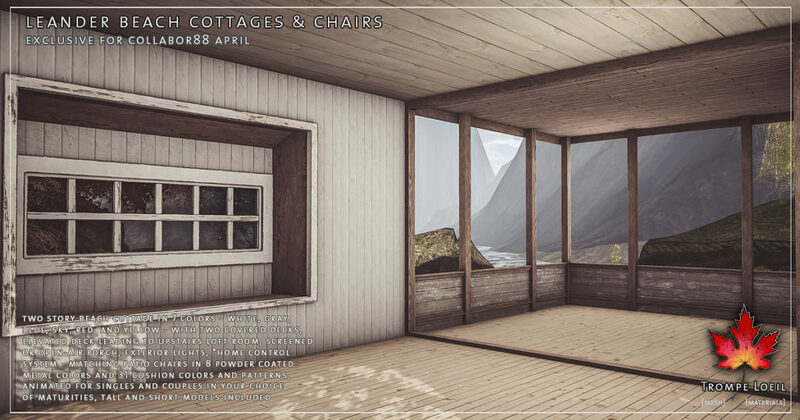 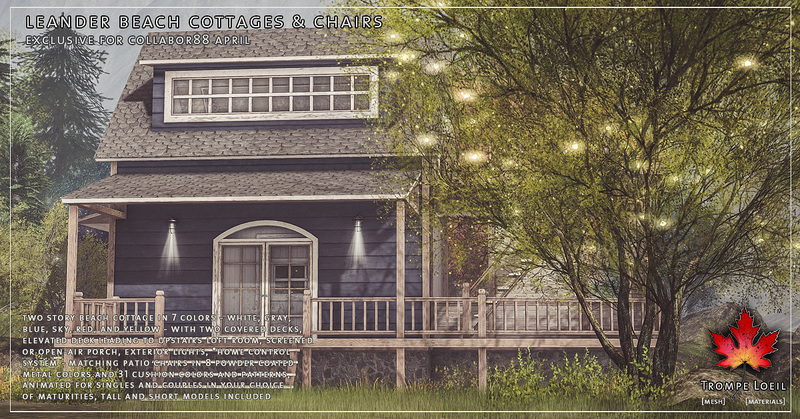 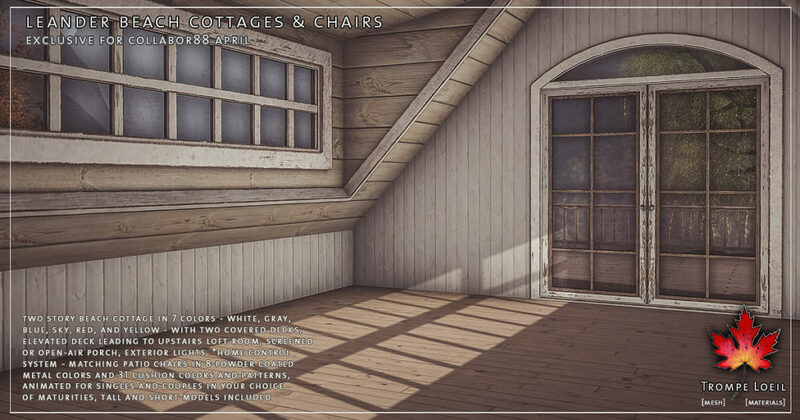 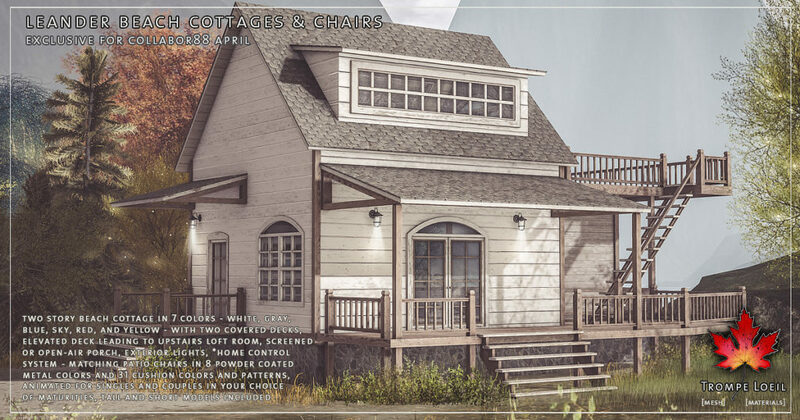 Spring weather means fresh breezes and a sunny seaside outlook – the Leander Beach Cottage and coordinating Leander Chairs for Collabor88 April get you set up and ready for a summer full of fun! 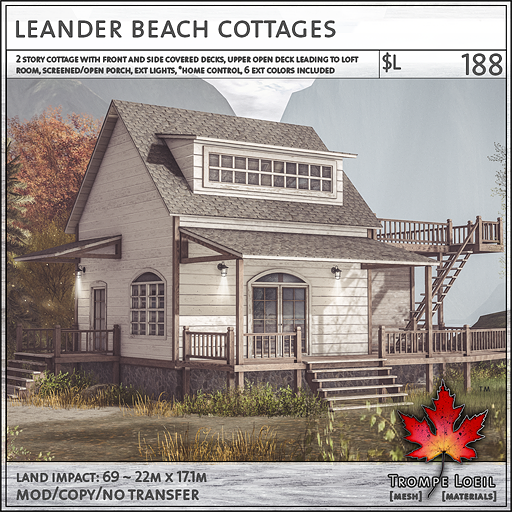 The Leander Beach Cottage is a two story cape cod style build with two covered entry decks and an elevated deck leading to the upstairs loft room. 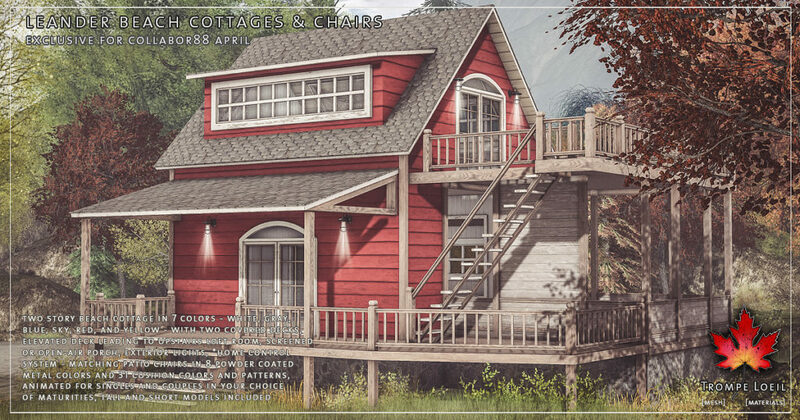 Downstairs, a screened-in porch (open-air and shuttered settings included) is perfectly situated for indoor/outdoor living! 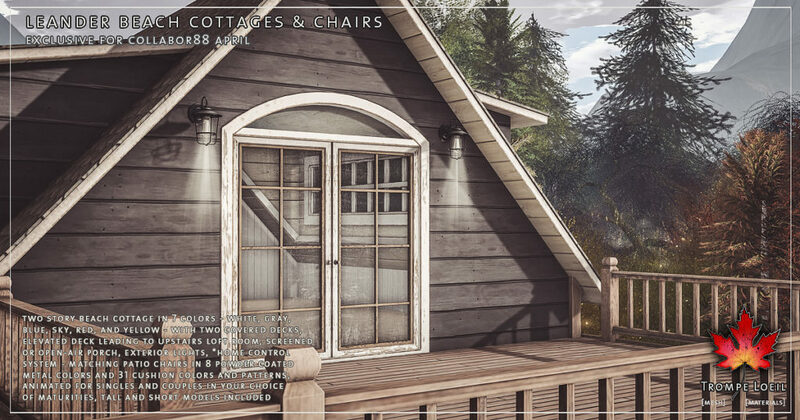 We include exterior lights, *home control system, privacy windows, and 6 different exterior colors – white, blue, sky, yellow, red, and gray! 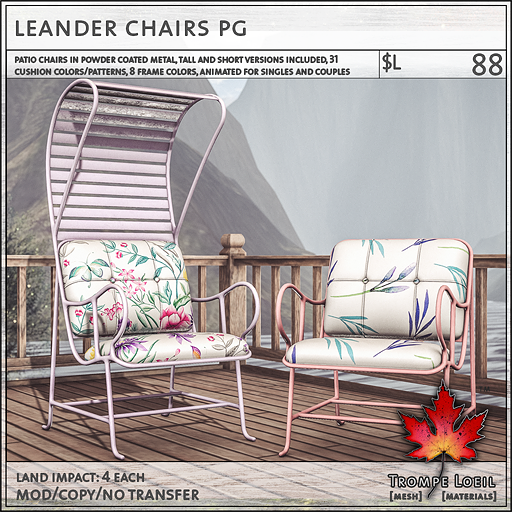 Plus, the Leander Chairs include tall and short versions, in powder-coated pastel colors plus white and black finishes, and coordinating solid and patterned leather cushions, animated for singles and couples in your choice of maturities! 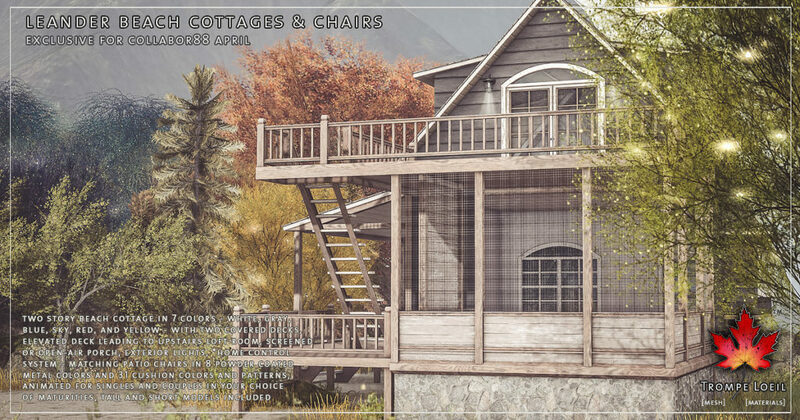 Only at great C88 sale prices for April!